Kelsey's Cluttered Bookshelf | My ramblings about books and other random things. I haven’t done this 24 hour readathon in a while, so I’m excited to do it again! I know I won’t get the full 24 hours but I’m hoping to get through a few books if I can. And of course, the hour before it starts has some questions and here they are! I’m only planning one or two since I might have other things to do today, but I’m excited for all of them. I haven’t planned any snacks this time actually, oops. I’ve got two kitties who I hope join me for reading with cuddles today. I won’t be pressuring myself to read as much as last time. I want to be more social while I read too! 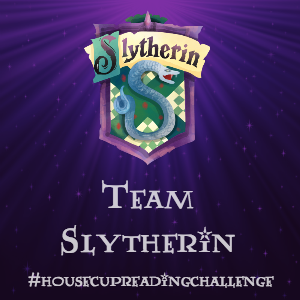 The House Cup Reading Challenge! 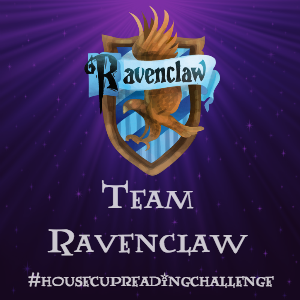 Welcome to the House Cup Reading Challenge! It’s my first time co-hosting a reading anything and I’m super excited! My co-hosts are Alex of Book Daisy Reviews, Lauren of Live, Love, Read, and Erica of Escape Under the Cover. This is a month long and it’s going to be super fun! We hope you join us for some awesome reading, great challenges and of course some prizes! 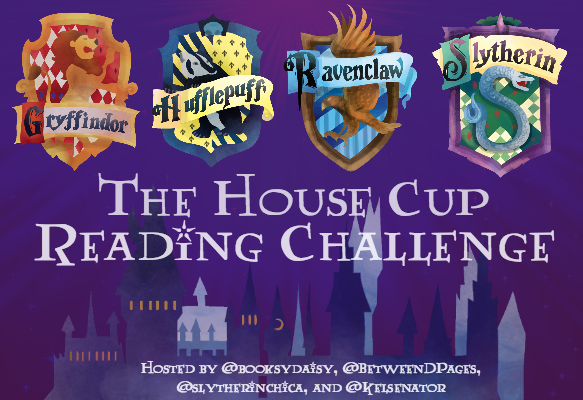 What Is the House Cup Reading Challenge? 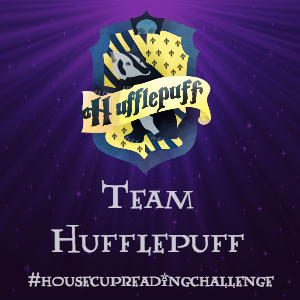 The House Cup Reading Challenge runs from Sunday, October 15, to Sunday, November 12. During this challenge, you will progress from a first-year to seventh-year Hogwarts student by completing seven books on your TBR list. In addition to the main challenge, you will have opportunities to earn even more points by participating in the themed bonus challenges and tweeting with the challenge hashtag on Twitter. But more on that later! To kick off the challenge, we’ll be hosting a Twitter chat starting at 8:00 p.m. EST on October 15th to give everybody a chance to introduce themselves, talk about the competition, and answer some Harry Potter trivia questions. Be sure to follow along with the #housecupreadingchallenge hashtag. At the end of the challenge, we’ll also be hosting a watch-along of one of the Harry Potter movies (to be decided via Twitter poll). We’ll have more details about this as we get closer to the end of the challenge. Not everyone likes to be confined to a specific category, so we’ve decided that all books for the main challenge are reader’s choice. This means you can pick any book off your TBR list to count toward the main challenge! For those who like categories to help narrow down their reading choices, here are thirteen bonus challenges to choose from. However, books you read for the bonus challenges cannot count toward the main challenge! 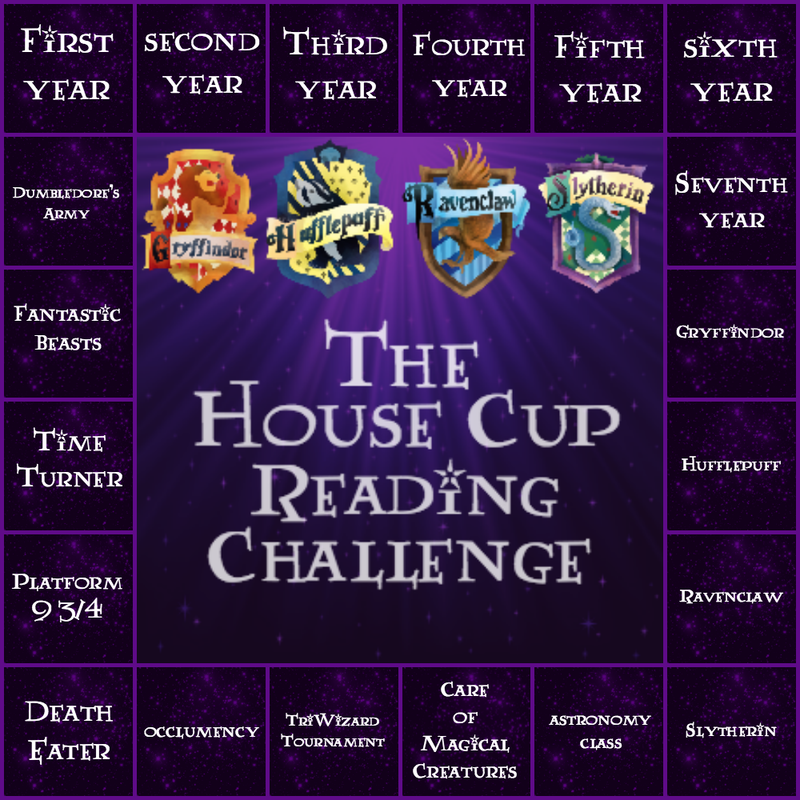 For example, if you pick The Hunger Games for the Slytherin bonus challenge (read a dystopian book), you cannot also count it toward your second-year challenge. Use the hashtag #housecupreadingchallenge on Twitter to earn 1 point per tweet (limited to 20 points total). 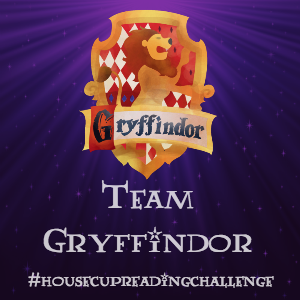 Think you’re ready to take on the House Cup Reading Challenge? Awesome! To sign up, grab your house badge below, create a sign-up post on your blog, Twitter or Instagram or even your Goodreads shelf with your challenge with a TBR list and, if you want, your answers to the questionnaire below. Once you’ve made your post, be sure to link it back to us using the Inlinkz widget below (or on any of my fellow co-hosts’ blogs). Make sure it’s a direct link. We await your owl no later than October 14! 😉 Happy reading! We can’t wait to see you on October 15 at 8:00 p.m. EST for the challenge kick-off Twitter chat!